The General Data Protection Regulation (GDPR) takes effect on May 25, 2018. If your business is based in the European Union (EU), or if you process the personal data of EU citizens, you are required to respond to requests from EU data subjects who ask to exercise their GDPR rights. 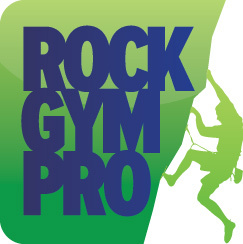 If your use of Rock Gym Pro requires Rock Gym Pro to process personal data within the scope of the GDPR, Rock Gym Pro’s GDPR Data Processing Addendum is available for e-signature here. Rock Gym Pro has built FOUR new tools to help your business comply with these mandates. IMPORTANT: These tools will be available in Rock Gym Pro in the the May 21st, 2018 feature release. Be sure to update RGP after May 21st to use these tools. If you receive a request from an EU customer requesting that their data be removed from the RGP database, you can purge the single customer record and all associated data. From Data Entry go to Manage → Settings → Misc. Place a tick mark next to Enable customer purge capability and then RESTART RGP. Important: This setting must be enabled in order for the Purge feature to work. - Look up a customer and click on the Advanced button on the bottom of the screen. Select Purge Data & Documents. This function is password protected. Once an Administrator assigns a Purge Password to staff, RGP Managers will be able to purge a customer. ONLINE DATA: In order to complete your purge of customer data, including items stored online, you will need to create a backup of your data and send the backup offsite so that any online data that needs to be forgotten is replaced with the most current backup that does not include the forgotten backup. Make sure you check the Enable Secure Offsite Backups box. Once this is done after initiating a customer purge, all online data is now replaced with the latest data from the backup you have sent offsite. If you want purge a group of customers and all of their associated data (e.g. ; those who have not visited in X years), you can use Customer Queries to tag multiple customers and purge them at the same time. All purges are recorded in the Audit Log, showing the customer’s first name, last initial and birthday. By recording these events, you are able to view which customers were purged should you have questions about a customer’s history. When a customer books an event from your online calendar, you have the ability to let your customer choose their email opt-in setting. Selecting Unchecked from the dropdown will require your users to check the box in order to opt-in to your email communication. Place a tick mark next to the Additional Policy Button Enabled field. Give the button a label and click on the Modify link to add your policy content. If you are using Smartwaiver, please follow the instructions provided in the Smartwaiver Help Center.